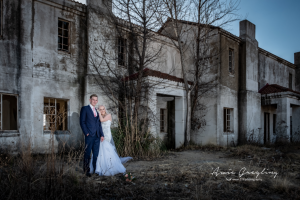 There is a somewhat disturbing trend developing under "wedding photographers" in South Africa. Some photographers now do interviews with the couple prior to booking to see if the couple fits their standard of a "good looking" or "attractive" couple and if they do not meet the standard they will not shoot their wedding. This according to me is a demeaning and disrespectful way of doing business or threat anyone in any aspect of life for that matter. I will shoot any wedding it does not matter to me if either the bride or the groom is "good looking" or not. I don't know how those photographers sleep at night and how they got to a point where they choose their customers based on their looks I honestly do not know who they think they are to look down on any person in life. So in short we do not book anyone based on their looks or social status anyone is welcome to book us! I had this on my previous web site and I think it is a good idea to add it again. Please Please note: these answers are my answers and are not a general depiction of how all photographers work, if you are looking at other photographers please ask them the questions and let them give you their answers! Event thought I said these questions are in no particular order this should be your first question as it would dictate if the rest of the questions need to be asked or if it is time to move on to another photographer. Yes I will, unless otherwise discussed or arranged before you even confirm your booking I (Awie Greyling) will be the one shooting your wedding. Some of our contract does include a second photographer that photographer will be commissioned by me and you will only meet him or her on the day of the wedding as it would depend who is available in my pool of second shooters and I will not know this untill a couple of weeks before the wedding date. How many other weddings will you photograph that weekend? This one I will only be able answer when I know your date but on the day of your wedding only yours, I might shoot one the day before and or after but I do not book more than one wedding on a specific day. It would depend on the package but a number of factors could dictate the need for one. Generally when I shoot a wedding without a second photographer I shoot alone should the need arise for me to bring an assistant for what ever reason. If I have to this will be pre arranged with you and it will not cost you any extra nor do you need to provide a meal for the assistant I will arrange that with the venue or bring food along for him or her. Do we need to provide food and water for you the photographer and second photographer if applicable? This only applies to 8 hour and 8 hour plus packages. No you don't "have" to but if you are not going to please inform us before the wedding day so that we can make alternative arrangements for the day. If you do not prearrange with us we might have to leave the venue to go and have supper or lunch as we are entitled to by South African law. What ever happens during the time we are of site will obviously not be photographed and time spent away will still be part of the agreed time stipulated in the contract. Do you often shoot weddings that have a similar size and style to the one we are planning? The smallest wedding I have ever done had 12 guests and then the bride and groom the largest had more than 300 people in attendance on day 2 of the wedding the first day there were plus minus 200 guests. So the answer will probably be yes. 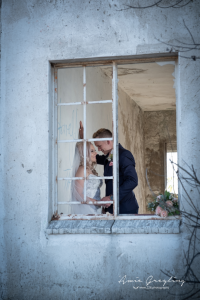 Can we see the full galleries of a few of your recent weddings? Full galleries no but extended galleries that cover the full day yes the links are available on the home page feel free to ask me for a link should you be unable to find one. I will never post or supply links to full galleries of weddings as some parts of each wedding is private and are for the bride and groom to decide who they would share that with I am sure you will appreciate the same discretion when it comes to your wedding day photos. Have you ever shot a wedding at our ceremony and reception venues? If not, do you plan to check the venues out in advance? Again this answer will be specific to your wedding but if I have to shoot at a venue that I have never been before then I will make sure that I am there an hour or two before I am due to start to check out the setup and possible spots to shoot. In the case of destination weddings (Weddings further that 150km from my home) I prefer to travel to the venue the day before the wedding. The reasoning for this is explained in a future question. Have you ever worked with our planner? Videographer? Florist? DJ? etc. This would be again specific to your wedding but I have never had issues with any suppliers at any wedding as we are all there to do a job and each have our specific function to for fill so you are welcome to ask about specific suppliers but as far as I am concerned we are all hopefully professional and know how to not get in each others way. How would you describe your photography style? What would you compare your work to? This to me personally is a stupid question but that's just me. Give me the opportunity to explain why I feel this way. Photography is all about light the light will most of the time dictate the shot I am not only a "Natural Light photographer" I make use of on and off camera flash when the situations calls for it. If you have a look at my work you will see that every thing does not look the same I have not forced a Photoshop preset on each photo to give them the same look and feel if that is what you are looking for that is not me. Each moment in life and on your day will be special and each of them should be treated that way. I will rather look for the extra ordinary in every shot than try and force it into a box to fit a "Style" But if you insist in putting me in a box you can use this one "creativejournalisticartisticclassiccontemporarytraditional photographer"
To illustrate my point here are three shots from the same wedding I did all done in distinctly different styles. How would you describe your working style? Do you prefer to blend into the background to capture candid moments, or do you like to be more visible and take charge to choreograph images? Again this is a stupid question and I sure it is a photographer that came up with some of these but again let me explain why. If you have ever shot a wedding you will know that there is no way that you could be blending into the background the entire day as it would be hard to shoot the family portraits and group shots while hiding in the bushes or even shooting the getting ready shots trough a window or from behind a couch or from under the bed that would be creepy. Again each situation call for its own approach yes it is cool to get shots of the guest during the ceremony without them knowing but you still need to be front and center for the exchanging of the rings and the first kiss. Each wedding is different and there is no way you can approach each the same as each venue is unique as is each couple. So yes I have heard photographers putting themselves in these boxes and if that makes them feel special good for them but for me the number one goal is to capture every important moment on your day so I wont be looking for bushes to hide in I will be the one shooting your wedding. Do you shoot digitally? With film? Or both? What is included in your standard package? What add-ons do the more expensive packages include? Most of our packages include an engagement shoot, there reason for this is we are seeing a trend where we are not getting to meet all the couples before they book so for us or me depending on the package it is important to meet the couple before the wedding. So we use this shoot more as a getting to know each other session that a proper shoot. Even though we do a shoot we use this session to find out what you like and what you don't like. What type of people are you are you the crazy all out there couple or are you more of a reserved formal type couple. People are all unique creatures and should be seen as such unique not creatures . So in short yes we do on most. How many hours are included in each package? How much do extra hours cost? Each package does cover this in the package descriptions click here to view all packages. As for extra time we charge R850 for every additional hour or part thereof spent at your wedding. We are however not petty and if things are running 15 or 20 min late now we are going to bill you for an extra hour no. We allow for 30 minutes grace after the predetermined time has lapsed. Unfortunately we cannot say we will not charge extra for extra time as there are people that will take advantage of this even the 30 minute grace period will now be exploited just because it is mentioned here. So we have to at some point start charging. Should you decide to add extra hours to a package in advance the grace period will start once those hours have also passed. Do you offer retouching, color adjustment, or other corrective services? Are those included or an additional charge? All photos taken on the day are edited and color adjusted if needed. If you require specific retouching like removing of tattoos or something along those lines then yes it can be done but there will be extra cost involved depending on the volume and complexity of the retouching. Do you charge a travel fee? For what distance? What does that cover? Yes but only in the following cases. If the wedding venue is more than 100km from our studio in Sunward Park Boksburg there is a charge of R5.50 per Kilometer, however the first 100km there and back is free you will only pay for the additional distance. 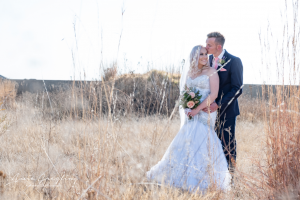 If the wedding is more than 200km from Sunward Park the wedding is seen as a destination wedding you can view our destination wedding packages at the lower end of our wedding package page. All travel and accommodation charges are included in those packages. We offer photo books but not prints, lay flat albums can be ordered we don't offer them as standard due to the fact that they are extremely costly but quotes can be provided if required. No longer than 10 working days after the wedding with the exception of weddings happening after 10 December and before 10 January those photo books and canvas prints can only be ordered when the printers reopen. Model release. 228 Photography may only make reproductions for the Client or for 228 Photography portfolio, samples, or self- promotions, or for professional competition and review. 228 Photography will not make reproductions for other use without first obtaining written permission from the client. Will we receive the negatives and/or high resolution digital images? Is there a fee for that? You will receive the contract when booking us for your wedding, the date will not be reserved before the retainer is paid and the signed contract is returned to us. We do not take deposits we charge a retainer, even though the retainer is deducted from the package price it is not a deposit - What is the difference you might wonder. The retainer amount is not the same on all packages please see each package description for details on the amounts. This is also contained in the contract to ensure all parties understand this and is in agreement with this prior to booking. If this ever happens and it never has, we will arrange for a replacement photographer to shoot your wedding we always have one on standby for every wedding just in case something happens. How will you and your assistants be dressed? I shoot with a dark denim and a dark branded button shirt. If you require me to wear a suit the cost of the suit rental will be added to the package price and will be payable with the retainer. I will also not be held responsible for cost occurred on damages to the rental suit from damages occurring during the day. I do lay on the floor or get on a wall or climb a tree to get the photos I need so wearing a suit is not really an option but if you insist it can be arranged. I will not be in your photos but will make sure that I am presentable I will not pitch up with rugby shorts and flip flops I promise. If you do decide to get married during summer and your venue is in a place where the average midday temperatures exceed 32 degrees I might shoot with a pair of Bermuda Shorts and a button shirt as being able to move and getting the best possible photos is my main aim for that day not winning any fashion contests but again I will be presentable. Can we request a list of specific shots we would like? You are more than welcome to request shots we normally setup a whatsapp group prior to the wedding where you are welcome to ask any questions and share any photos you like. But please be realistic you cannot send me beach wedding photos if your venue is in Harties or Nature shots when you are getting married in the city. If you see a pose you like but the location is not the same its great we can do the pose but the Eiffel Tower will not magically appear in the back ground. Please feel free to create a pin board on Pinterest and invite me to follow your board I will then also be able to help you see the difference between styled shoots and real weddings. So yes it is your day the day is not about what I want this day is really all about you so feel free to share any ideas. Also when it comes to the family photos please supply us with a list of the groupings you want and keep in mind that each group takes around 2 minutes to setup and photography so the less groups you have the more time there will be for couples photos. Will you be posting about our wedding on your website and social media? Will you be submitting our photos to magazines or blogs? That is all the questions I can think of at this moment if there are any others you would like me to answer please let me know.